Because, errybody’s gotta eat and we want to make sure you won’t be wasting your calorie count on less than impressive meals, we’ve rounded up the most essential eats for 2016. And, the year’s not over yet. With a list as good as this, we’re already getting hangry at the thought of what the next few months will bring in epic foodie delights. So here it is, the best (most essential) eats for 2016 (so far) in Sydney. We love pasta, but what we love more than pasta itself is when it’s a little pasta pocket filled with goodness. Yes, ravioli is our fave and Salt Meats Cheese know just how to cure the carb craving. Their ravioli filled with spinach, ricotta, burnt sage and pumpkin, topped with walnuts and… brace yourselves.... truffle oil. Yep. Let’s just say we might have had a little drool as we were typing this. It’s no secret that we love cheese. All kinds of cheese. Blue, ricotta, parmesan, vintage. You name it, we’ve loved and devoured it. But, as it seems, we never really knew what love was until we tried the baked camembert from The Royal. Oh. Em. Gee. Warm, cheesy goodness served with crouton dippers and cranberries. It’s so good, you’ll never look at cold cheese the same way again. There’s a reason the Los Vida Famous Fish Tacos are famous. These delicious bites of beer battered barramundi coated in a zesty lime and served in a soft taco with cabbage slaw, jalapenos & chipotle mayo are certainly worth getting an autograph from. If you need something to kick-start your day, Rising Sun Workshop Cafe is where it’s at. Who says ramen is an afternoon or evening dish? Because, these guys, and us tend to disagree. Soupy, noodley awesomeness with bacon, egg and tomato served in a buttered toast broth (!) - your B&E sangas will become a breakfast of the past, unless of course you try their version of bacon and egg roll. We’re talking essential eats people, and that means the slow cooked beef ribs form Mercado are an absolute must. For your iron supplement of course (we’re always looking out for you), you can thank us later. Now, if it’s a bit of good old heartwarming fare that you’re after or maybe you just love pies (guilty), then the chestnut, Jerusalem artichoke and portobello pie from Vernon’s bar will certainly heat things up- in a lovey dovey, warm and fuzzy kinda way…. Too far? 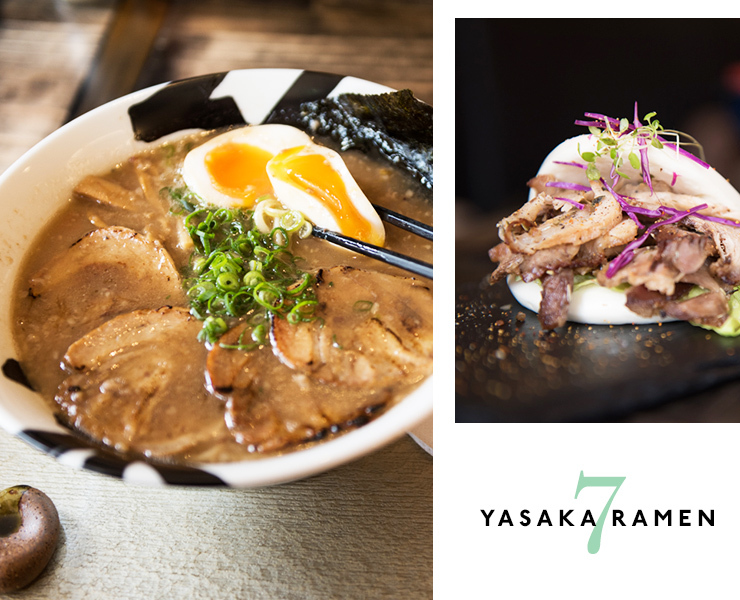 Because we love ramen so much, Yasaka Ramen in Neutral Bay - a restaurant dedicated to our much loved dish - is topping our list. But, because asking us to pick a favourite ramen from their extensive menu is like asking us to choose between our children, we’ll let you decide which one to make your most essential eat. We love the flavours of South America, and pretty much anything pastry based is a winner for us, so the alpaca and mozzarella empanadas from Tequila Mockingbird are ticking all the right boxes. Like we said, we love pastries and the comté gougère from Bar Brose is just another epic eat to add to the list of carbs filled with cheese that we cannot get enough of. In case you were wondering what the heck a comté gougère was, just think, baked savory pastry mixed with cheese. A dream come true really. The chicken fricassee from Restaurant Hubert is a tender, juicy delectable dish that deserves some sort of award, we’re sure of it. If you’re looking for some inspo for your next Sunday lunch this might be it. A whole chicken, fried and covered in sauce- we’re leaving this one to the professionals. This one’s for the duck lovers- or even if you’re not, we’re sure you will be converted soon enough with the honey roasted whole duck from Four In Hand. New York styled pizza has landed on the streets of Surry Hills and you’d be silly not to try a slice from a place that calls themselves Epic Pizza and, take it from us, it certainly is epic. Whether it’s a late night feed or a post work snack, this is what Sydney’s pizza aficionados have been hanging out for. 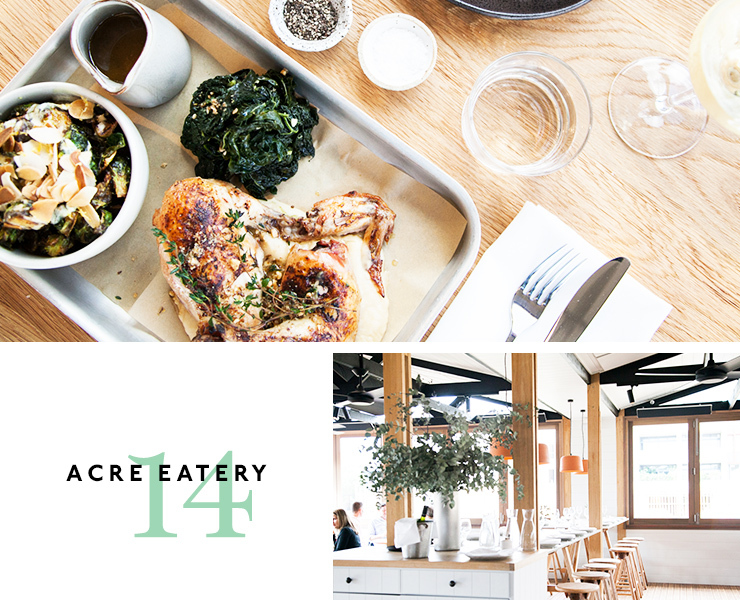 For farm to table freshness, Acre Eatery is doing all the right things. With their very own on site farm, whatever isn’t grown here is sustainably sourced, so they're a winner in our books. The lamb shank and farro pie is a dish that will warm the cockles of your heart and we’re pretty sure this may be on our essential eats list for years to come. If you’re a dessert fan, but not of the rich and sickening kind, Uncle Tetsu cheesecake is just for you. This combination of eggy, spongy cream cheese isn’t too sweet so you won’t be bouncing off the walls any time soon. No, it’s much subtler than that, but it only means one thing. It’ll keep you wanting more. Don’t say we didn't warn you. Did you think we’d leave a burger off this list? Of course not, and this one’s either a hangover essential or perhaps it’s just a lunch time feast that needs to be had. Bonditony’s tripping Zeahorse burger is where it’s at. The buns themselves are worth raving about, but it’s what’s on the inside that really matters. A beef patty, tasty cheese, lettuce, tomato, onion, chutney, tomato relish and seeded mayo. Fresh, saucy, burgery awesomeness. Add some sweet potato fries and you’re set. One for the vegos - but of course, carnivores will be sure to enjoy this one too- Kindred’s dish of eggplant on soft polenta with roast capsicum, broccolini and topped with whipped feta is as soul nourishing as the home-style restaurant is itself. We love tapas, because that means we get to try more than one thing from the menu (no shame). That’s why Balcon by Tapivino’s tapas menu has us weak at the knees. Be sure to order the pigs ear with Spanish peppers, broad beans and potato skins. Just be mindful- you may not want to share. If we said we made it through 2016 without eating cronuts, we’d of course be lying. The Tiny Giant lives up to its name with their delicious takes on the crunchy doughnutty delights. The menu is ever changing, but we’re sure you’ll never be disappointed, with things like Nutella Oreo, Belgian waffle and maple syrup or our fave, salted caramel with caramel Tim Tam, this is the most essential sweet treat you’ll eat this year, we’re sure of it. For pizza that’s a little outside the norm, Al Taglio’s self-titled pizza, the Al Taglio is worth every mouth-watering bite. With peas, smoked turkey and buffola cheese, it’s simple yet delicious in every way. For a round up of Sydney's best CBD bars, head here.